When a person suffers cardiac arrest, most people don’t know what to do. That’s why the Dutch Heart Foundation developed a smartphone app. The App provides audio support for performing CPR. We wanted to encourage people to download the app by combining the problem and the solution in one visual. 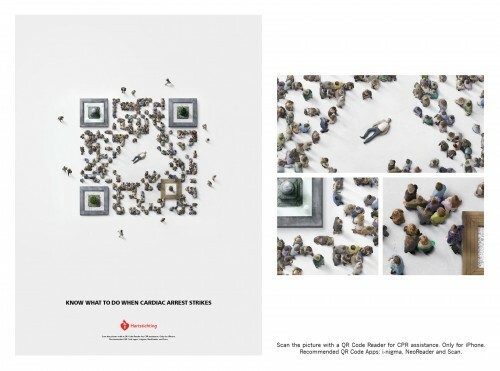 We developed a print ad with a QR-code, entirely made of real people. Scan the picture with a QR-reader and it will send you immediately to the app-store, to download the CPR app.